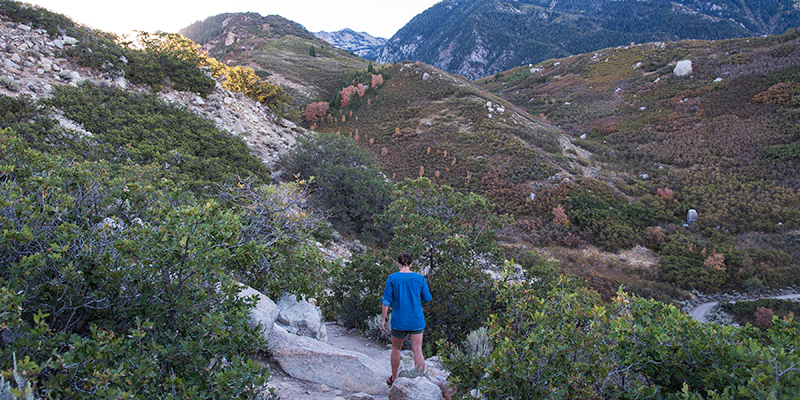 Bell&apos;s Canyon Trail is a very popular Salt Lake City hike located right at the mouth of Little Cottonwood Canyon. Thanks to the low starting elevation and the lack of major elevation gain it has become a popular hike for all ages and abilities. Not only are there great views of the Lone Peak Wilderness and the Wasatch Mountains, you&apos;ll enjoy fantastic overloooks of Salt Lake City. Heading out for a Sunday morning stroll. Looking Southwest into the Salt Lake Valley at Sandy and Draper. The Oquirrh mountains are in the distance. After only three-quarters of a mile you&apos;ll reach the "lake," which is really the lower of two reservoirs that are located in this watershed. A walk around the reservoir is the best way to enjoy Bell&apos;s without adding too much time. 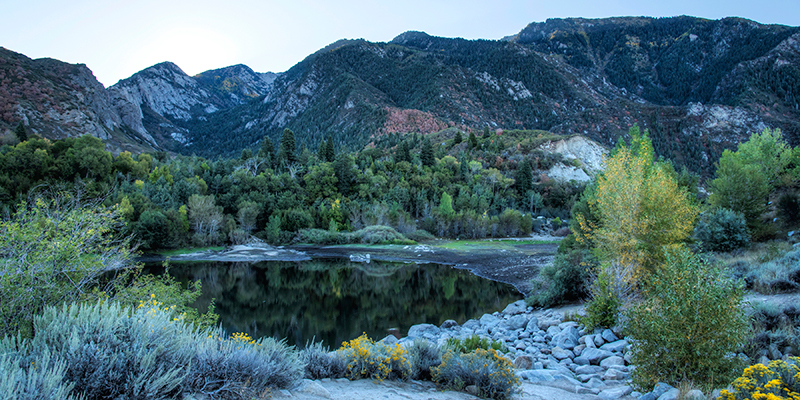 The lake is actually Lower Bell&apos;s Canyon reservoir, a watershed for Salt Lake County. 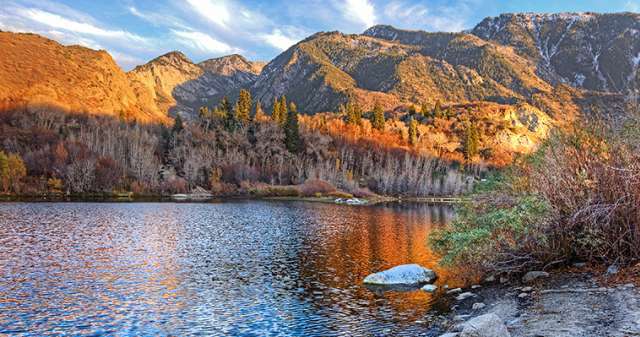 Some of the highlights of this hike include the beautiful cirque above the lake, the wildlife that is commonly seen here, and the beautiful colors that come alive in autumn. 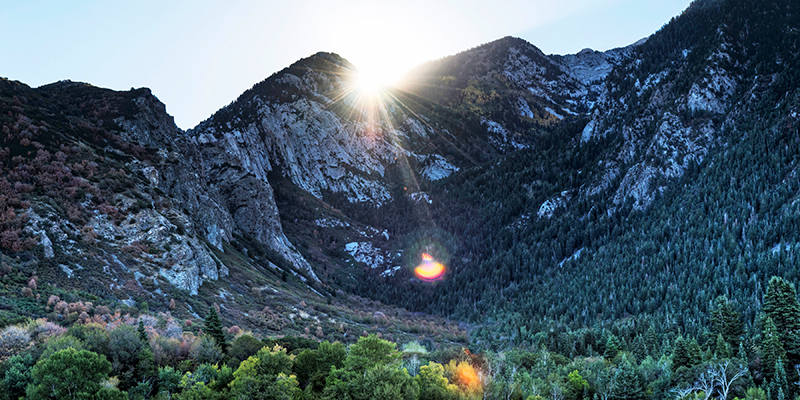 Morning sun popping out behind the cirque. 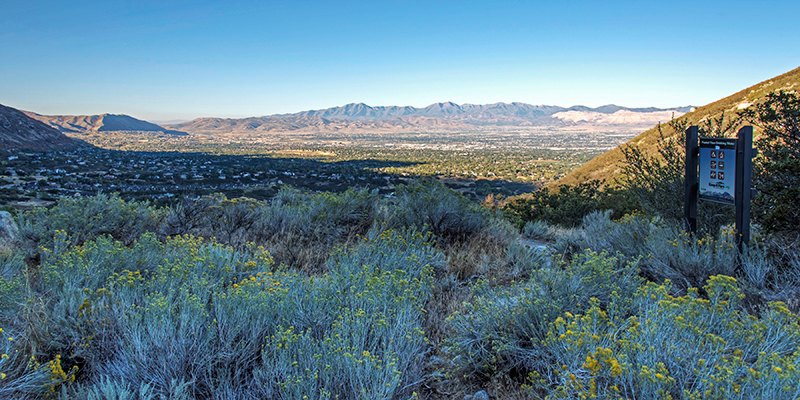 Around the southern end of the loop there are large granite boulders sitting below wide views of the Wasatch Mountains and the city below, a perfect place to stop and have a snack. A set of large waterfalls lie further up the canyon on a trail that forks off of the northeast end of the loop. A small sign indicates where you make the change, and the first waterfall is about 2.5 miles from the parking lot, but the route is much steeper than the Bell&apos;s Canyon Trail Hike featured here. 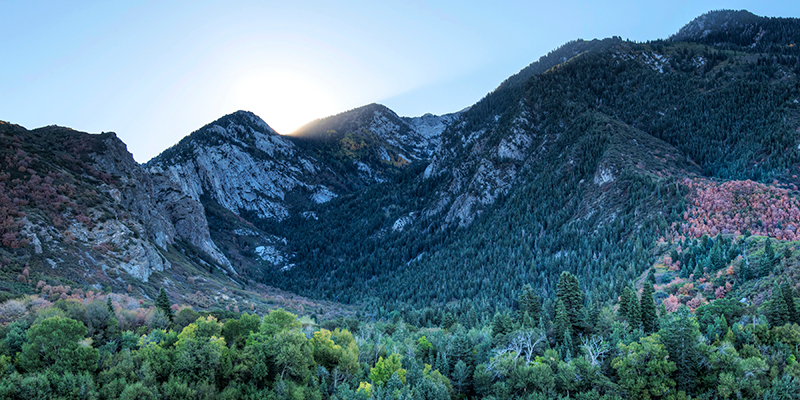 The Bell Canyon cirque hides a pair of waterfalls that are worth checking out if you are looking for more of a challenge. Many people bring their fishing rods, but remember this is catch-and-release only area. Because the Bell&apos;s Canyon drainage is a Salt Lake City water source, there is no swimming, and there are no dogs allowed. Pros: Close to town. Short hike. Great autumn colors. Fishing. Cons: Crowded. Lacks wildflowers. No dogs allowed. Occasional rattlesnakes.